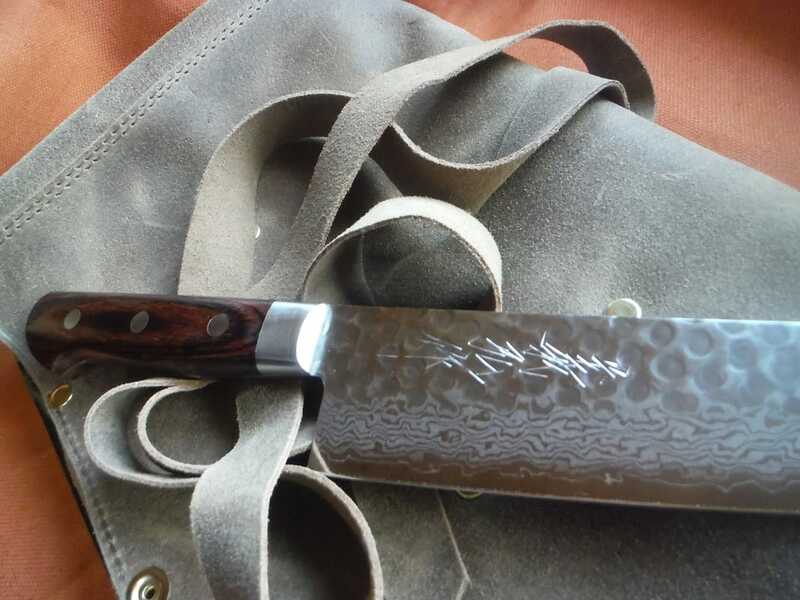 Yoshihiro have been producing knives in much the same way for over a century in Sakai Japan. The skills the craftsmen use have actually been around much longer than that. 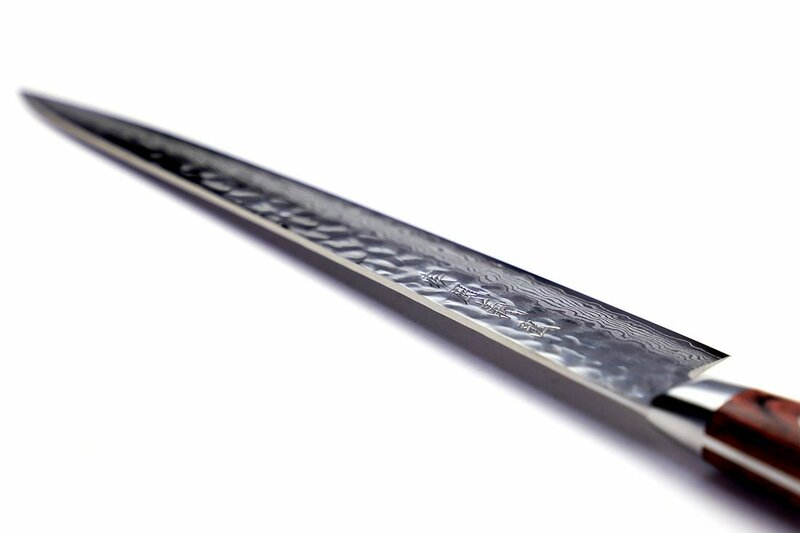 The origins of the techniques used to make Yoshihiro knives began in the 14th century, when swordsmiths used techniques of handling iron, fire and water to create the Katana of the Sumurai. As the history of Japanese knife forging tells us, over a period of centuries, the sword smiths gradually transitioned to knife smiths. With that transition came an ethos of knife making that sets the region apart when it comes to quality and precision. Making Yoshihiro one of the best Knife brands around. 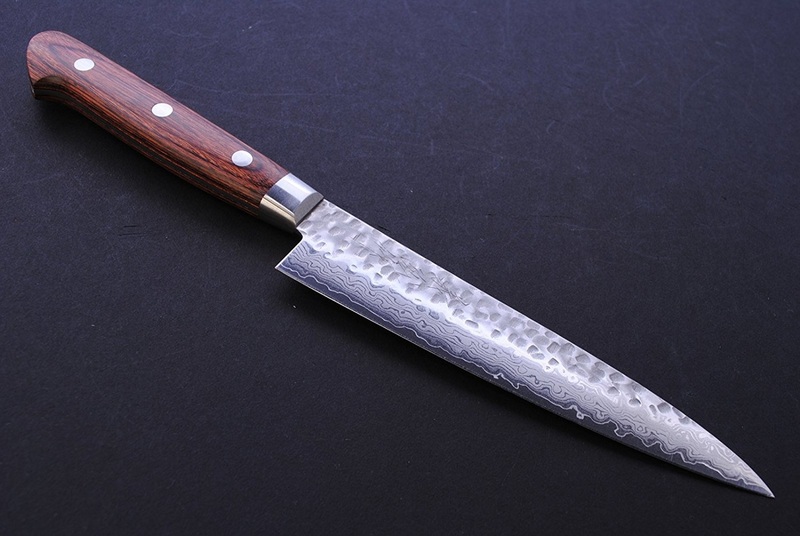 The Yoshihiro Hammered Damascus Stainless Steel Paring Knife is designed specifically for smaller precision tasks such as peeling, trimming, and slicing fruits and vegetables. This knife is great for intricately carving fruit and vegetables for presentations and garnishes. 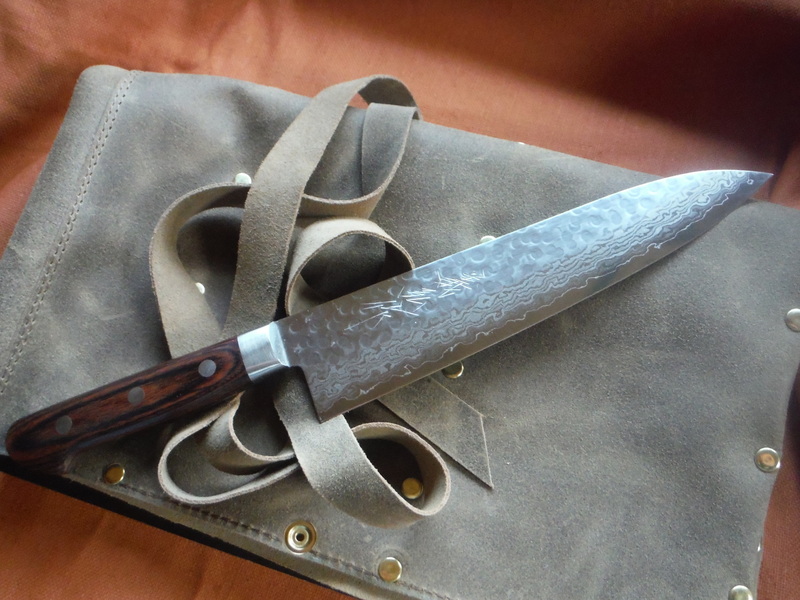 With its hand-hammered, layered, damascus, stainless-steel blade, this pairing knife is sharp, has great edge retention, sharpens easily, and is durable and stain resistant. A full tang knife, the handle is hand crafted out of natural mahogany wood. The elegant, hammered texture of the damascus steel works to keep food from sticking to the blade. This knife is a great value for a professional grade tool. 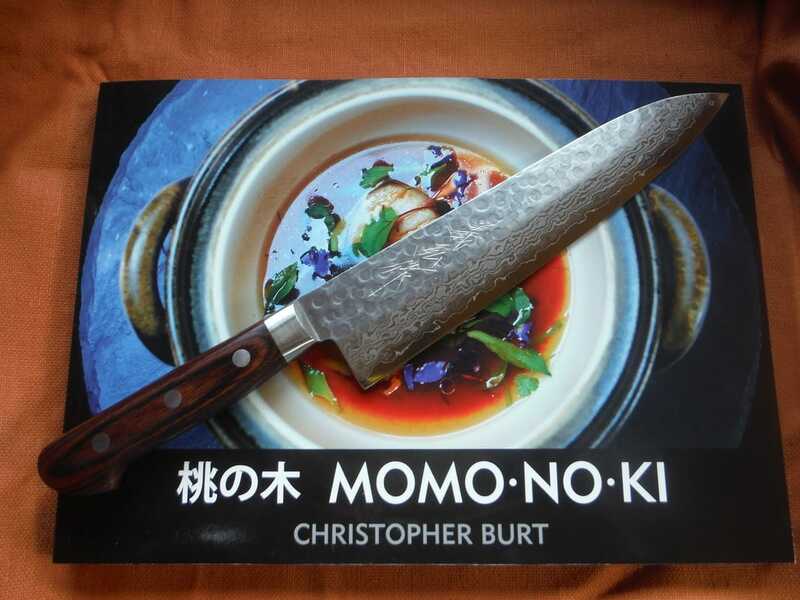 One of the most essential knives a chef and a cook can have is a Japanese slicing knife known as a Sujihiki knife. From slicing filets of fish fresh from the fish monger to carving a roast chicken straight from the oven, even the simplest tasks are elevated with a handcrafted knife that is as beautiful as it is functional. Our VG-10 Hammered Damascus Sujihiki slicing knife is forged with a combination of the traditional styles of Japanese and Western slicing knives, with a long straight blade that smoothly slices through meat or fish and preserves the integrity of each ingredients freshness. 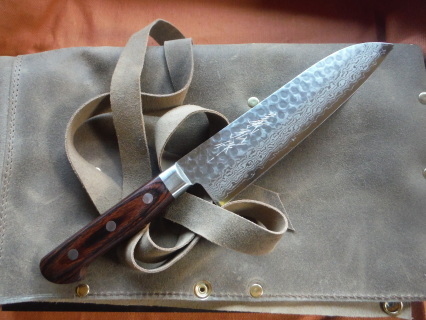 Forged and hammered with 16 layers of steel in the Damascus tradition with a VG-10 Core, this knife is complimented with a premium Western style handcrafted mahogany handle that extends to the full tang of the knife and is NSF certified for commercial kitchens and ergonomically welds to the hand for seamless use. 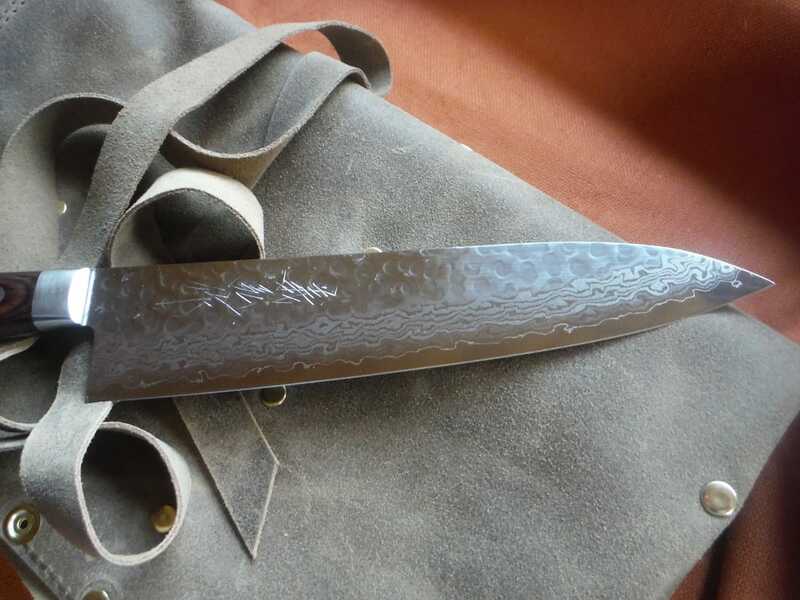 The hammered texture of the blade eliminates friction and keeps food from sticking to the blade. 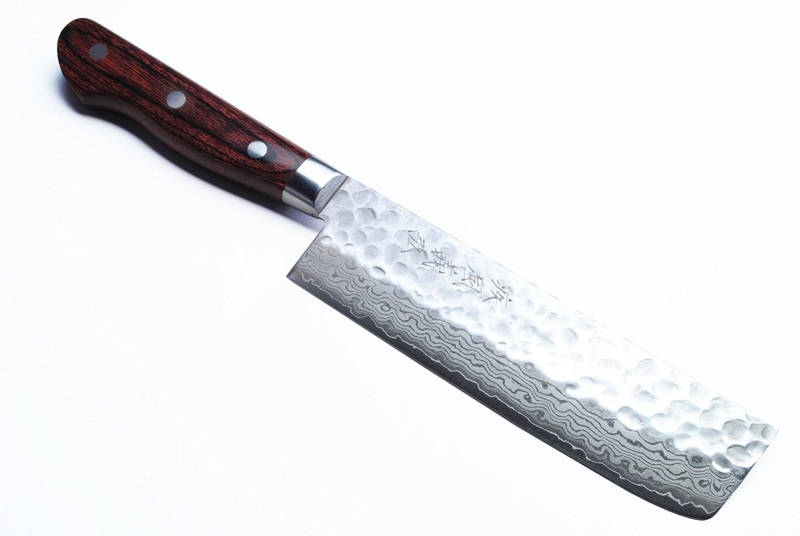 Every knife from Yoshihiro is handcrafted by master artisans creating a unique one of a kind work of art. ​Our VG-10 Hammered Damascus Gyuto Chef Knife is forged with a Western style curved blade that smoothly rocks back and forth with an extended tip for quick chopping. Forged and hammered with 16 layers of steel in the Damascus tradition with a VG-10 Core, this knife is complimented with a premium Western style handcrafted mahogany handle that extends to the full tang of the knife and is NSF certified for commercial kitchens and ergonomically welds to the hand for seamless use. 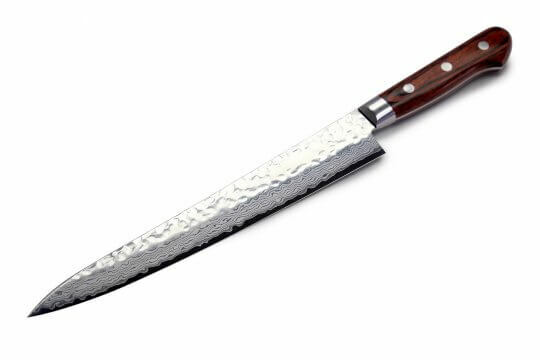 The hammered texture of the blade eliminates friction and keeps food from sticking to the blade. Every knife from Yoshihiro is handcrafted by master artisans creating a unique one of a kind work of art.